Soul-punk is the appropriate and oft used term to describe 80s power pop wonders The Plimsouls. Fronted by singer songwriter Peter Case, the band was formed on the heels of the breakup of his first, and legendary, power pop trio The Nerves (famous for Case, and Paul Collins, and the original recording of "Hanging on the Telephone"). The Plimsouls hit the LA scene in 1978 when power pop was starting to explode into the club scene. Their niche was a sixties and soul infused style of power pop that helped them to stand out in the crowd. The band released a single in 1980 -- "Now" backed with "Dizzy Mizz Lizzy", but didn't hit it big until KROQ's Rodney Bingenheimer started spinning their single "Million Miles Away" on his weekly show. The song became a big regional hit and was all over So Cal radio stations throughout the early 80s. It landed in the Nicholas Cage's cult classic teen romp Valleygirl (She's cool, he's hot, she's from the valley, he's not) and along with a notoriously frenetic live show reported to be one of LA's best, cemented the bands alternative street cred. 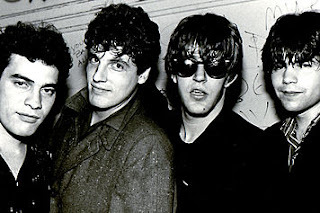 This track "Lie, Beg, Borrow, and Steal" appeared on their 1983 major label release Everywhere At Once, and features the band at their most garagish. 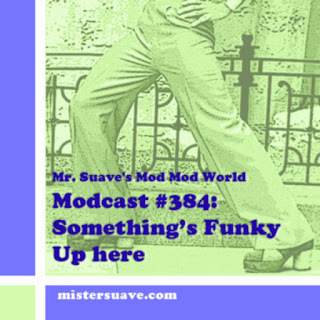 It's a sixties R&B stomper that would have been right at home on a Standells LP circa 1967. The Plimsouls reunited in the mid-90s with Blondie drummer Clem Burke bangin' the sticks, and recorded a rather forgettable album, Kool Trash. They still play on occassion and the live shows are reportedly as good now as they ever were.